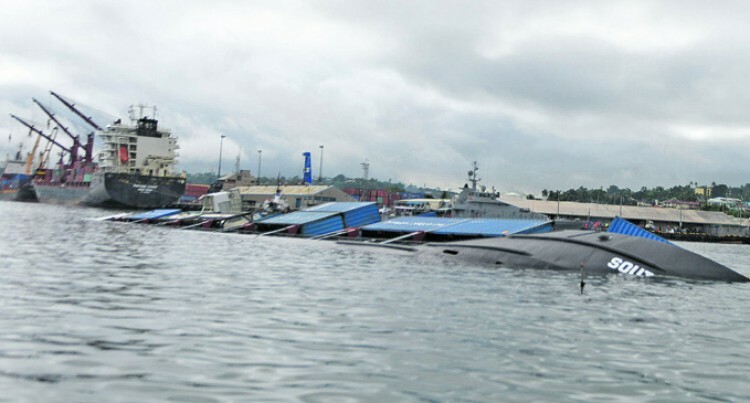 It will cost $1.2 million to salvage the Southern Phoenix vessel out of the Suva Harbour. The salvaging costs will be paid entirely by the vessel. The vessel is owned by Cruz Hold­ings Limited. MV Southern Phoenix had sunk on May 6, 2017 at the Suva Harbour. MV Southern Phoenix was ex­pected to leave for Tarawa, Kiri­bati; it was ready for sailing with all its cargo operations completed when the incident happened. Fiji Ports Corporation Limited chief executive officer Vajira Pi­yasena made this statement while presenting the Fiji Ports Corpora­tion Limited 2016 Annual Report to the Standing Committee on Social Affairs at the Standing Committee Room in Suva on Monday. Mr Piyasena said the four week reinvestigation of the sunken MV Southern Phoenix has been com­pleted and is expected to salvage on August. “Removal order has been issued to the vessel owner and the re­moval contact is being finalised between the ship owner and the salvage company,” he said. “Removal operations are expected to commence in August, 2018 and it will take three to six months to salvage the vessel out of the Suva Harbour.